LTT-313 are great for small spaces where room is at a premium. Ideal in small multi-storey office complexes. Visitors enter the building with a pass they receive from the security desk and have access only to that specific office. TANSA turnstiles are ideal for both unidirectional and bi-directional passage that can be free or access- controlled. Even though access in both directions can be controlled by a card-reader, authorized security personnel can override that setting for card-free access during certain times of the day. TANSA turnstiles allow free exit out of the site or the building in case of a power failure, a feature mandated by law. If the client wants the turnstiles to remain locked during an emergency, such functionality can be provided as an option, contingent upon the written request of the client. However, once set at the factory, the system then cannot be switched back to the emergency-exit state by the client and it remains locked during all subsequent power failures. 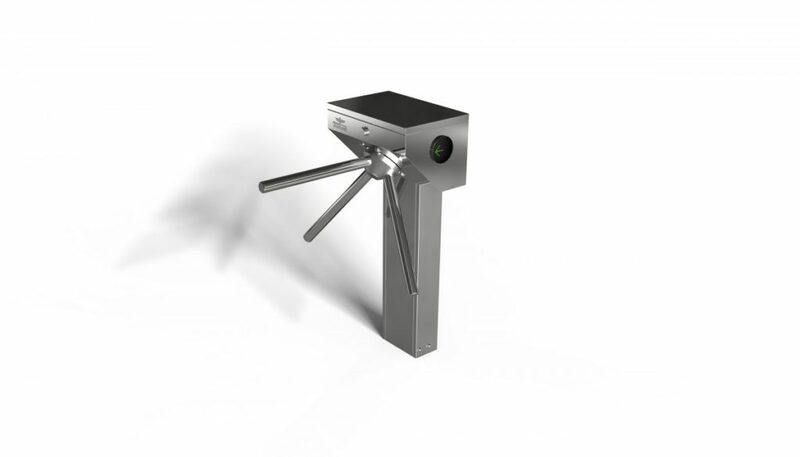 During emergency situations like fire or earthquake that necessitate rapid evacuation, TANSA turnstiles come with an optional drop-off turnstile arm which is actuated by a signal received from the earthquake detection system. That ensures quick and safe exit from the building or the site. In a similar manner, the arm can drop off to the side with one push of a button during protocol events to allow unimpeded access for VIPs and special guests. CARD READERS Our equipment is designed to integrate with a variety of access control systems, software and readers to allow you greater flexibility in your application. systems are manufactured at TANSA’s own production plants.